Black Rock local, Duncan Thomson, was frustrated that Melbourne's obsession with fantastic cafes and wine bars appeared to end at Bayside's beaches, so when the perfect spot popped up at the iconic Black Rock Clock, on the corner of Balcombe and Beach Roads, he decided to open one for himself: Ebenezer Coffee & Wine Bar. The stunning exterior of Ebenezer Coffee & Wine Bar features big brass plates on black walls, which will age beautifully, while indoors they've gone all-out with custom-made furniture by VN Projects, brass-trimmed lighting by Please Please Please, distressed mirrors, cast iron wine shelving, exposed steel beams and a raw stone counter. Previously director of food and beverage at the Arts Centre Precinct, Thomson took time of to look after his two young daughters while his wife went back to work. 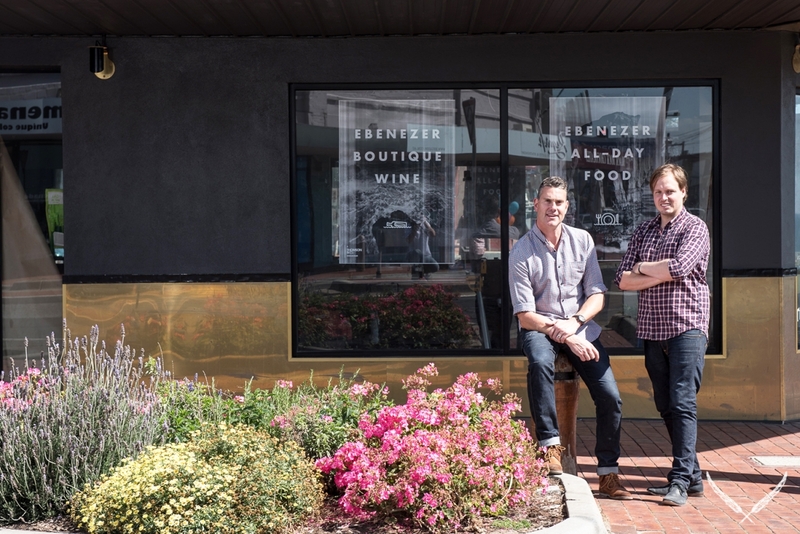 When it came time for him to return to work, he didn't want to go back into the corporate environment, so Ebenezer Coffee & Wine Bar is the perfect scale. Harris Ryan, formerly of some of Melbourne's best restaurants and cafes – think Circa, Pei Modern, Richmond Hill Cafe and Larder, as well as Gorski and Jones – is in charge of the kitchen, with the focus on fresh produce, sourced from local suppliers. Hungry Baysiders can chow down on yum brekkies like zucchini and quinoa fritters with smoked trout and asparagus, or Jamon Iberico baked beans with poached egg and chorizo. Ebenezer's lunches are packed with chunky salads like pickled beetroot, blood orange, fennel, radish and ricotta, or plump for stuffed sandwiches like Gypsy ham with pickles and Jarlsberg. As evening settles in, a grazing menu with oysters, pickled mushrooms, grilled chorizo with lime and chicken liver parfait are the perfect accompaniment to Ebenezer's wine list, featuring side projects from some of Victoria's best-known and most-celebrated winemakers. Ryan will also provide daily signature dishes, like a 12-hour lamb shoulder.